In today’s dynamic communications world, a client’s attention is something that we need to constantly compete for. In order for our enterprise to be successful, it’s not enough to merely have a perfect product, or a better one than what our competitors offer. Our appearance in the customer’s world has to be influencing and powerful – that’s why every motivated business shouldn’t spare any efforts to achieve that. Undeniably, the video has the greatest potential for influencing your client. It’s easy and comfortable to watch, leads to emotional engagement and empathy in the viewer, thus creating closer and stronger connection between him and the brand. Sending a message and captivating your viewers is constantly getting more and more competitive and complex, leaving the users a little spoiled. They expect to be won over with something really creative and different. 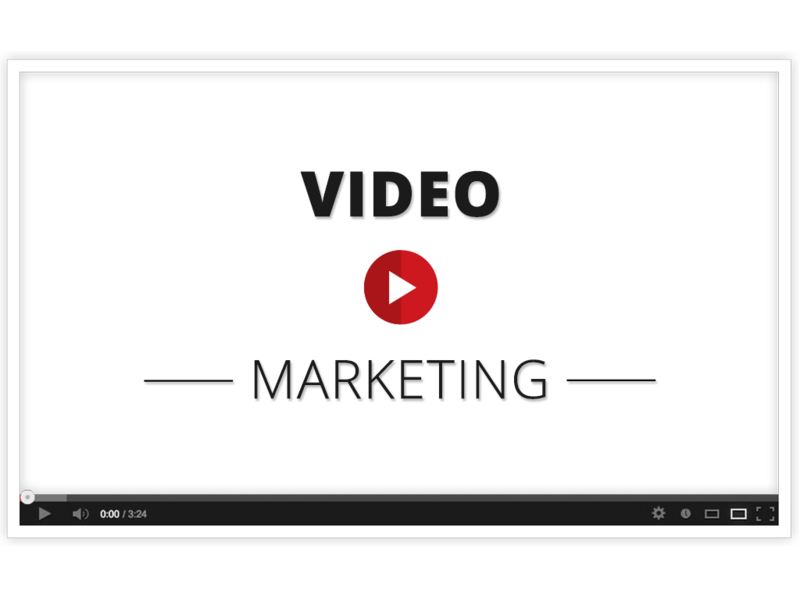 But what exactly is video marketing? Video marketing is part of a company’s digital marketing strategy and plays an important role in its overall communications for promoting and making long lasting connections with clients. It includes creating videos with different and attractive content essential to a certain product. Those videos could show the brand in a positive way or educate the customer, for example. Their emission has to be systematic, various and to spread out into every popular communication channel. Video presence in the social networks is really important, because sharing an influencing video leads to a chain reaction and therefore – a higher customer reach. *Notice the fact that Facebook recently announced that 1 billion people visited the site in single day, and it’s not surprising that the number of videos watched for a day is over 4 billion. In other words, more than 500 milion people are watching videos on Facebook daily. Imagine all the potential and ground for development and growth. Content – sending the message through your video’s script and the information it has is a little complex. It has to be intriguing, catchy, and captivating. We are constantly bombarded with new information, so one that’s not compelling, simply won’t make the cut. HD quality – in the virtual reality and 360º photos era, this is not even a question. Length – the most common advice goes “the shorter your video is, the better it will be perceived”. However, this is not entirely and always true. There are many factors that influence the duration of a certain video (and, of course, not only that). You have to take into account your industry and the niche it’s aiming for. With that information we can paraphrase the first sentence like that: Your video has to have a clear, short, and concise message. Do not add unnecessary and superfluous information. This way even if your video turns out a little longer, it won’t be boring and would be able to engage the viewer’s attention. You’re trying to penetrate the market with a completely new product and you want people to know about it? You need a product video! You don’t need professionals to create one, as it’s more than enough to merely show how your product works, creatively emphasizing on the qualities that bring comfort and joy into people’s lives. If possible, divide your customers into different segments (by gender, profession, hobby, etc.) and create several video series, each referring specifically to a certain group. In that way, you will reach the viewers in a more personal way so they can identify with the emotions you create. If the product video needs only a small portion of emotions, then the image video transforms them into integrity. We all know the famous Coca-Cola adverts which are focused on family traditions, friendship and the joy of being with your loved ones. Some people even connect certain holidays with characters from Coca Cola’s popular videos. Another example is Fanta with its youthful ads that carry spontaneity and sparkling joy, primarily targeting teenagers. People buy the product not because of its physical characteristics, but because of the identification with the emotion that brings. It’s important for you to be honest and creative when sharing your values through the story in a video. Bringing sympathy and understanding to the viewers will certainly grab their attention and even make them love your brand. This video is a simple recommendation from a pleased client, who gets to describe how your product had changed their life. We bet you still remember the first-hand value-oriented videos of WS Teleshop, where Horst had people testing domestic devices, and showing how they works, while constantly giving positive feedback for their functionality. Another advantage of a first-hand-test-drive videos is that, just like product videos, they don’t need a significant investment for their creation. But still, be careful not to make it all look too artificial – it is better when the clients are honest and truly satisfied by the product. This video type allows your customers to dive into your workspace. By inviting them to take a closer look at the process of creating their products, they will see the natural, honest people in your company, who focus their energy on creating more value for the customer. This is a wonderful way to put more diversity into your advertising campaign – to encourage your customers to speak about the brand themselves. If you organize a prize competition, you could motivate your clients to be more creative, which would make your brand more popular. What’s more, you won’t worry about your videos looking unnatural. More than 71% marketologists confirm that adding video to your content enhances the realisation percent. The message and emotion presented through this medium leaves a lasting trace in the user. And what’s better than an emotionally invested user turned client? Just a (seemingly) little change – adding a video – you can increase the efficiency of your email marketing campaigns. The video content must be just a part of your overall communications strategy. No matter how good they are, videos won’t lead to any great success on their very own. Instead, if integrated into and synchronized with your marketing mix, they will deliver more impact for your brand. The team creating the videos has to include both video professionals and marketers. That way, you can reach the perfect balance between aesthetically beauty and efficient marketing message. Carefully plan and structure your video marketing campaign. Spend enough time on researching the market, on analyzing tour competitors and focusing on the right target customer. Also, think about the message you want to send to your audience, and put yourself in the position of your viewers. How would you want them to feel? How would you provoke them to act? More than 65% of the people watch the certain video almost up until its very end (more than 3/4).